Odell Beckham Jr. will make his 2017 NFL season debut on Monday night as the Giants take on the Lions. 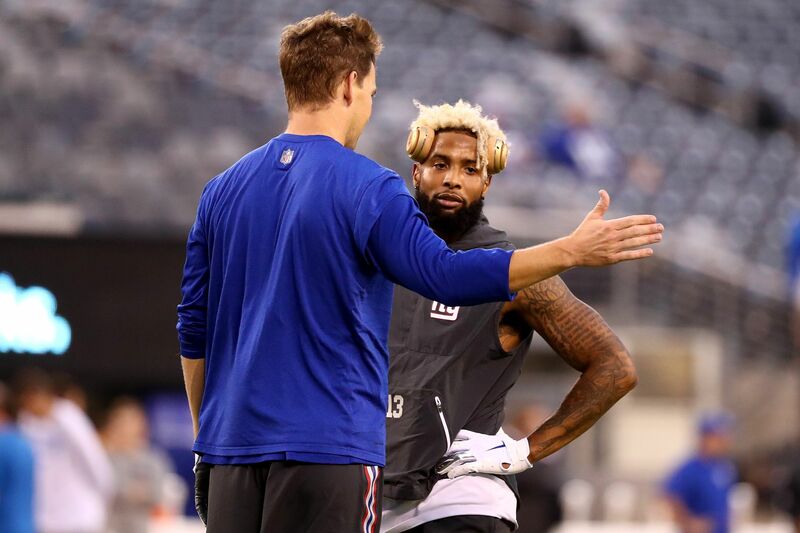 The New York Giants lost their season opener last week to the Dallas Cowboys, but it should be noted they were without one of the best offensive weapons in the NFL, wide receiver Odell Beckham Jr. Heading into the Monday Night Football showdown with the Detroit Lions, it wasn’t known if they would have him for this one either, as Beckham was simply listed as a game-time decision. Well with game time approaching, it appears that a decision has been made. Monday night against the Lions, Eli Manning will have his favorite weapon on the field with him. Beckham himself confirmed the news on the field to ESPN’s Josina Anderson. Beckham has been dealing with an ankle injury, which is what kept him out of the opener last week against the Cowboys. So, before making a final decision on his status, it was imperative that he hit the field in warmups to give the ankle a little test. By all accounts, the ankle seems to be in good shape, as evidenced by Beckham on the field before the Monday night action is set to take place. You can definitely see where the coaching staff would be careful with Beckham, especially early here in the season. You don’t want to rush him back too soon, because this is a team that did have some playoff hopes coming into the year. While it’s tough to keep him out of early games, you also have to take into account the rest of the season down the road, especially January. But, it looks as if all is well with the LSU product, and Monday night one of the most exciting players in the NFL will take the field for the first time this young season.